On the understanding that their ice creams probably more resembled what we today would call granitas, it is claimed that early ice creams (in reality, it would probably be more correct to call these precursors “ices”, rather than “ice creams”) were known already in the ancient world. The ancient Egyptians knew how to mix fruit juices with ice, according to paintings found. Alexander the Great of Greece and, progressively, of most of Asia minor, is known to have kept a stock of frozen snow to refresh his armies. No, they never had it so good - the art of ice cream-making never developed into "real ice cream" during Roman times. 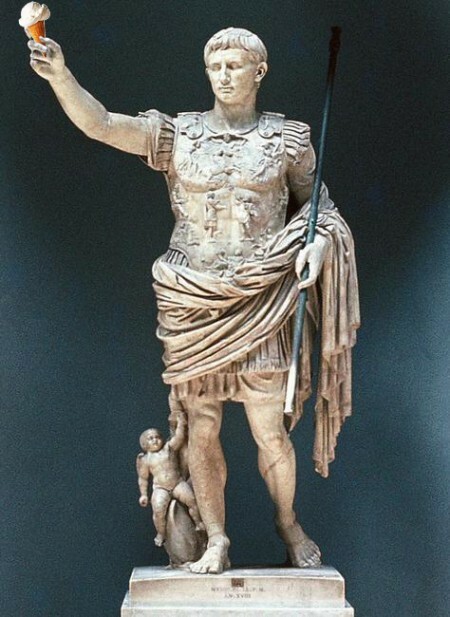 The best frozen treat Emperor Augustus and his contemporaries could hope for was probably more similar to slush puppies. The Romans had ice and snow mixed with their juices and wines for cooling effects, with Emperor Nero often being attributed (historically unverified and likely false) stories about having snow and ice transported by runners from the mountains to Rome for these purposes. 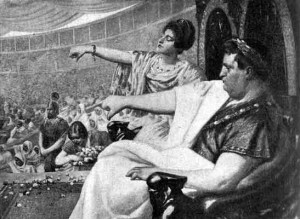 Nero at the circus - in a bad mood because of slow ice-runners? Having only been a treat reserved for the aristocracy and the upper crust, the fall of the Roman Empire also seems to have spelled the end of early European development of ices into ice creams. Elsewhere, however, real progress was being made – in China, and in the Orient! It was probably mainly via the Moors and the Arab world’s accumulated refinement of the mentioned ancient traditions that a renewed understanding of ice cream-making eventually was brought back to the Europeans around the time of the Renaissance.